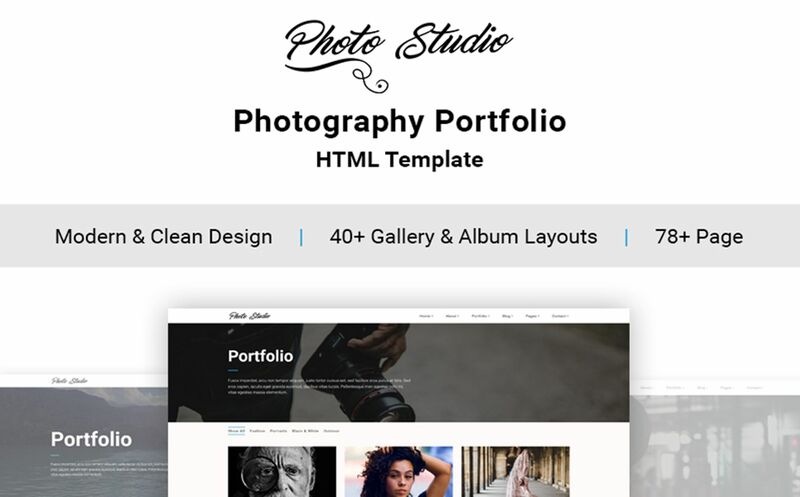 Photo Studio is a fully responsive and modern HTML5 Bootstrap website template will help you easily create a fantastic website for your photo studio. No matter, are you a beginner photographer, making you first step in a wonderful world of modern photography, or a pro with years of experience. This HTML5 Photo Studio template will suit a photographer of any level, from a simple blogger to a professional studio photographer. This template can be easily customized, using a huge collection of artwork and themes, so your site will have itâ€™s own, unique persona. 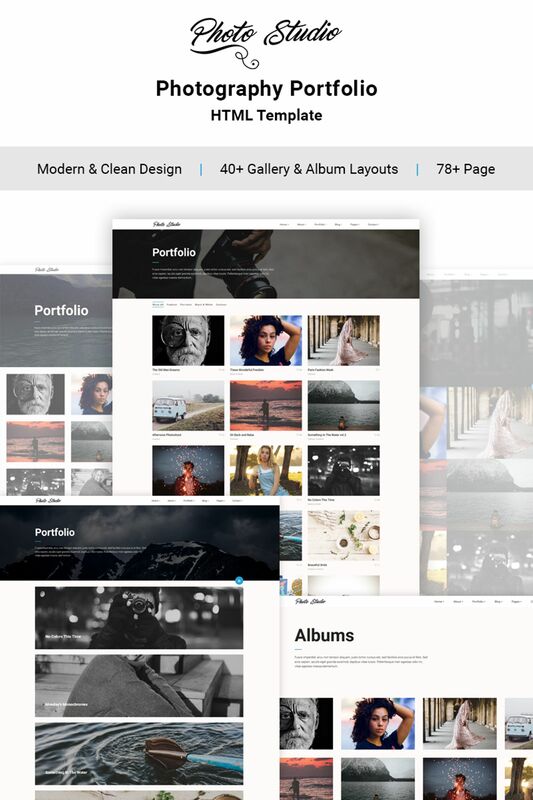 Try Photo Studio HTML5 template, a creative template for a creative website owner! This is Template Monster&#039;s most excellent templante. As always offering quality templates.